Asus has recently launched its new Zenfone 4 selfie series with an idea to express stories through selfies. Taking selfies has become next level of expressing our life stories with included emotions to the open world through social networks. 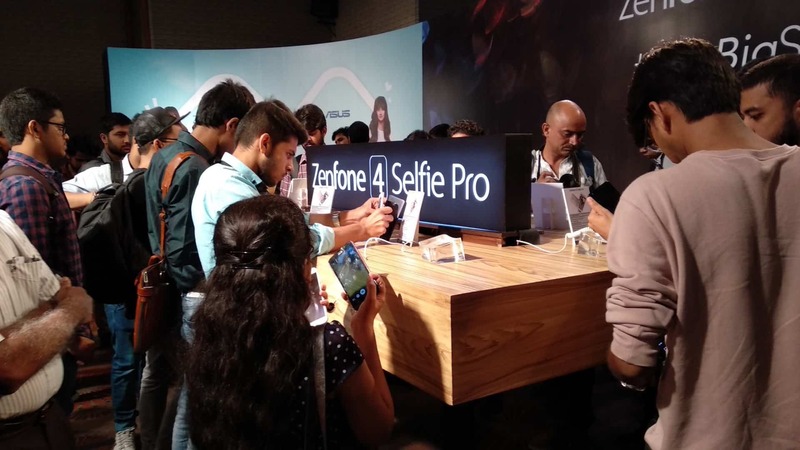 Asus wants to make those stories more memorable, more expressive and this idea has embarked the birth of Zenfone 4 Selfie variants, which includes: Zenfone 4 selfie and Zenfone 4 selfie Pro. Zenfone 4 selfie again comes in two variants, the one with single camera aka Zenfone 4 selfie standard and another variant Zenfone 4 selfie with dual selfie camera. The new batch of Asus Zenfone 4 selfie variants will come with a price tag of INR 9,999, INR 13,999 and INR 23,999 respectively and will be available exclusively on Flipkart from September 21. The Zenfone 4 Selfie pro will remain as one of its kind among the flagships from Asus. The Zenfone 4 selfie pro comes with full metal and sleek design forged with 5.5 inch AMOLED display with 2.5D Corning Gorilla Glass. The total thickness is 7mm and weighs approx 145 grams. The front side of Zenfone 4 selfie pro equips fingerprint scanner with haptic feedback, and it takes not less than 0.3 seconds to unlock. Zenfone 4 Selfie Pro houses Qualcomm based Snapdragon 625 processor, 4GB of RAM and 64GB of internal storage which is further expandable to 2TB via a hybrid micro-SD card slot. One of the top-notch specifications is, Selfie pro can handle two sim cards along with SD card. During the launch, ASUS has announced its Android N based Zen UI 4.0, which will have minor bloatware and smoother performance. One of the breathtaking aspects of Zenfone 4 selfie pro is its Selfie camera. The selfie camera comes with 24-megapixel Duopixel camera technology, which uses the Sony IMX362 sensor, f/1.8, large pixel sensor. Asus has explained about DuoPixel tech during the launch event happened on September 14th. Duopixel tech uses two separate photodiodes to shoot the same image and combines them both into one final 24MP image post-processing. Also, Asus claims, they have made the first smartphone which can record the 4k videos using its selfie camera. Apart from above, the front camera comes with EIS (Electronic image stabilization) and video beautification features too. Alongside the selfie camera, Zenfone 4 selfie pro comes with 120 wide angle FOV 5MP secondary front camera and 16MP rear camera, which can record 4k Videos and can create portrait shots. The rear camera uses Sony IMX351 sensor which can give RAW file output. Asus Zenfone 4 Selfie is a mid-range smartphone that again comes in two variants: Single-camera variant aka Zenfone 4 Selfie standard and Dual camera variant. Just like Zenfone 4 selfie pro, it is made up of a full metal body, comes with 5.5- inch 720p screen and Qualcomm based Snapdragon 430 processor, 4GB RAM and 64GB internal storage. Both variants can equip dual sim cards and a dedicated microSD card slot. 3000mAH battery powers both the smartphones. The front selfie camera for Zenfone 4 dual camera edition comes with the dual camera system (20 megapixel and 8 megapixels). The secondary front camera has a 120-degree wide angle for great portrait shots, and Zenfone 4 standard comes with single 13-megapixel on its front. Both Zenfone 4 selfie smartphones come with the 13-megapixel camera on the rear. As the theme is to express stories through selfies, Asus has made its best to create their selfie variants for India. All the Zenfone 4 selfie variants will be launching on September 21 exclusively in Flipkart. Stay tuned for our reviews. Previous articleBosch GO – The Only Smart Screwdriver You Will Ever Need!